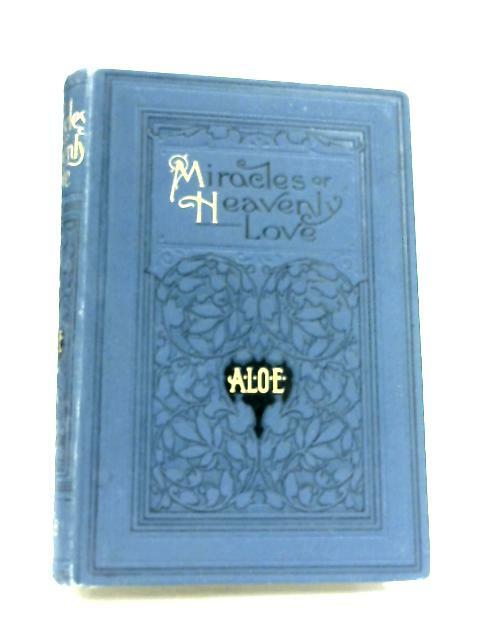 Miracles Of Heavenly Love In Daily Life by A. L. O. E.
1900. 176. 176 pages. No dust jacket. Blue pictorial cloth with gilt lettering. Mostly clean pages with light tanning and foxing to endpapers and page edges. Cracked hinge with exposed netting. Binding remains firm. Inscription to front endpaper, and occasional finger marking to page edges. Few small water drops and nicks to text block edges. Boards are lightly tanned. Mild rub wear to surfaces and edges with crushing to spine ends and minor bumps to corners. Forward leaning.